Each Low Brass Care Kit includes: Tuning slide grease, valve oil, mouthpiece brush, valve vasing brush, cleaning snake and polish cloth. Instructions provided. 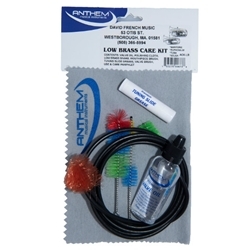 This care kit can be used with a Euphonium, Baritone, or Tuba.